Dedicated to honoring women of the American West who have displayed extraordinary courage and pioneer spirit. The National Cowgirl Museum and Hall of Fame is the only museum in the world dedicated to honoring women of the American West who have displayed extraordinary courage and pioneer spirit in their trail blazing efforts. Since it was established in 1975, the Museum has become an invaluable educational resource nationally known for its exhibits, research library, rare photography collection, and the honorees in its Hall of Fame. The purpose of the Hall of Fame is to preserve the history and impact of western women living roughly from the mid-1800s to the present -- the pioneers, the artists and writers, the tribal leaders, the entertainers, the social activists, and the modern ranchers and rodeo cowgirls. 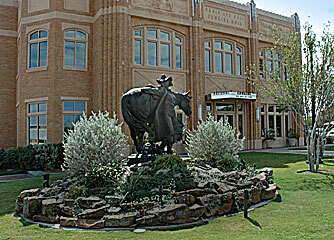 Today, there are 176 amazing women who have been inducted into the National Cowgirl Hall of Fame since 1975.